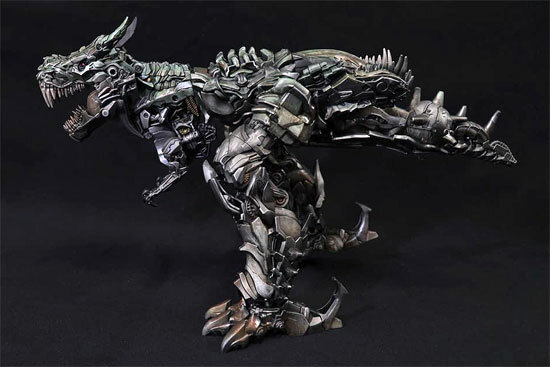 Leon Ku's has done a repaint on the Studio Series Leader Grimlock and this is his work! Can you see the big difference in how realistic this toy look now? And it is transformable with all the paint intact! 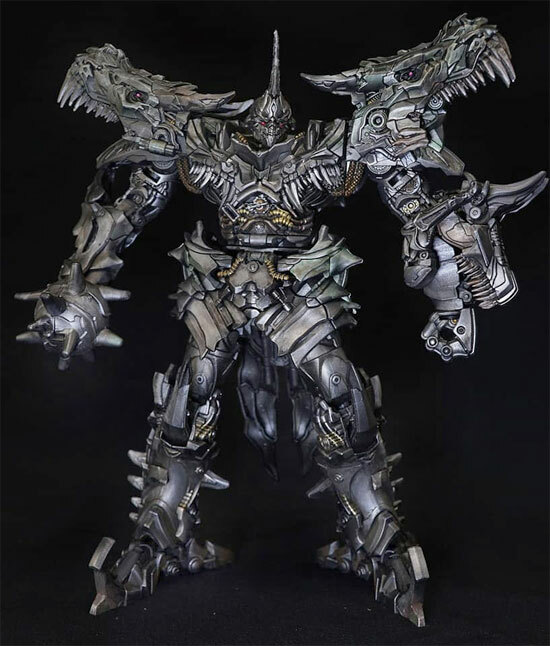 Look at the Robot mode!! 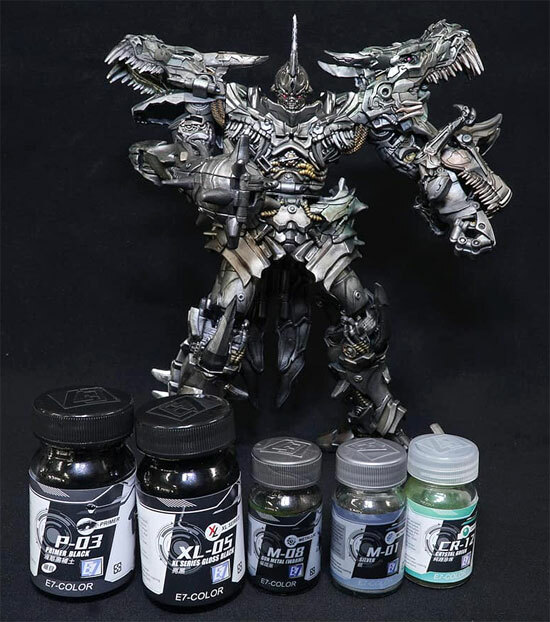 He uses E7 black primer, gloss black, gunmetal warm and green pearl fir the base color and the weathering using Vallejo rust and dark steel. You can see more details on his Facebook page here!